We have perfected our craft through experience over 160+ years. Craftsmanship is a tradition handed down from generation to generation. 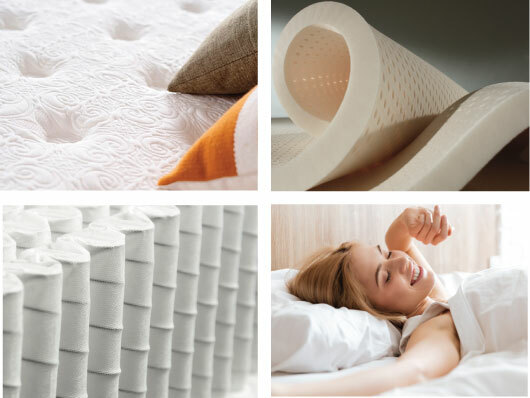 Using the finest materials ensures our beds can last for generations. "We know what's inside because we make each one"
Unlike regular coils, Nano spring coils do not get progressively harder. Our commitment to making mattresses responsibly. "Built up to a standard, not down to a price." Beds & Headboards. Made by hand, one at a time. Painted finishes, applied by hand in layers have a soft, natural patina and are repairable. Veneers are carefully sliced and matched for grain and color. Our commitment to making beds responsibly. Since we actually make the beds we sell, our commitment to manufacturing responsibly is more than a promise. Steel and brass mostly post-industrial recycled and is 100% recyclable. Adhesives and finishes are natural and/or non toxic water based (no harmful solvents).